Farhan Akhtar's 'Jaane Ye Kyun Kiya' Crosses 15 Million Views! Home BOLLYWOOD Farhan Akhtar’s ‘Jaane Ye Kyun Kiya’ Crosses 15 Million Views! Farhan Akhtar’s ‘Jaane Ye Kyun Kiya’ Crosses 15 Million Views! 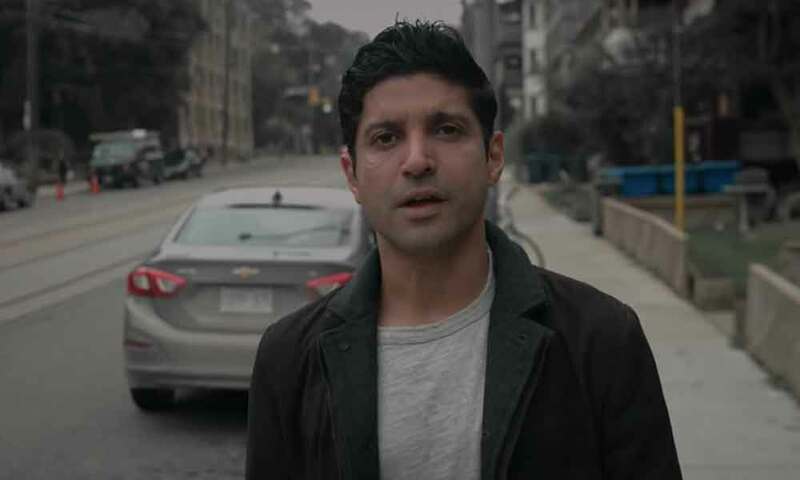 Farhan Akhtar’s first ever Hindi single ‘Jaane Ye Kyun Kiya’ which recently released has been receiving a humungous response from the audience. The music video has already crossed 15Million views on YouTube showcasing the immense love from the masses. Bollywood’s multi-talented star Farhan Akhtar who has time and again impressed the audience with his direction, filmmaking, acting, and singing is currently presenting his fans with back to back musical treats. After the successful SELF-tour with Shankar-Ehsaan-Loy, Farhan Akhtar treated his fans with his first ever Hindi single ‘Jaane Ye Kyun Kiya’ which created an uproar on social media in no time. Farhan Akhtar took to Instagram to announce the song crossing over 15 million views on YouTube. A few months ago, Farhan Akhtar shared a picture from Iceland where the multi-talented star shot for his first single in collaboration with Rochak Kohli. Besides featuring in the music video the actor has sung the song and has penned down himself. For this single Farhan has collaborated with Rochak Kohli who has produced the song. The multi-talented star is currently prepping for his upcoming UK tour, a sneak peek of the same was shared by him on social media recently. Making his debut a decade ago as an actor as well as singer with Rock On! !, Farhan Akhtar has a number of chartbusters to his credit, including “Rock On”, “Socha Hai”, “Tum Ho To”, “Pichle Saat”, “Senorita” and “Dil Dhadakne Do”. Earlier this year, Farhan sang his first Telugu song, “I Don’t Know” for Mahesh Babu’s political-thriller, Bharat Ane Nenu. On the work front, Farhan Akhtar is gearing up for his upcoming ‘The Sky Is Pink’ where the actor will be starring alongside Priyanka Chopra after Dil Dhadakne Do. The multi-talented star will also be presenting Gully Boy next year.